How often do you count or use numbers? A lot. Indigo Finance are proud sponsors of the @Learning Links Counting for Life Program at Old Guildford Public School. We spent a morning out at the school getting to know the group of children that will be taken on this 10 week program. They will have one on one support to improve numeracy skills where it is needed. Please CLICK on the link below to find out more about this amazing charity that directly gives back to Australia’s future. http://www.indigofinance.com.au/wp-content/uploads/2017/03/default-v2.jpg 198 300 wsadmin http://www.indigofinance.com.au/wp-content/uploads/2017/01/indigo-finance-logo.png wsadmin2016-08-23 02:32:202017-03-09 02:32:43How often do you count or use numbers? A lot. Is switching loans a suitable alternative for me? Your home loan is usually your largest financial commitment. We understand that changes in interest rates can have a big impact on your monthly repayments and how long it takes to pay off your loan. Switching loans might cost you thousands in early exit fees and other required fees, but it could possibly SAVE you thousands of dollars as well. http://www.indigofinance.com.au/wp-content/uploads/2017/03/default-v2.jpg 198 300 wsadmin http://www.indigofinance.com.au/wp-content/uploads/2017/01/indigo-finance-logo.png wsadmin2016-08-10 02:31:582017-03-09 02:32:48Is switching loans a suitable alternative for me? Nearly half of all homeowners have NEVER refinanced! A recent survey of Australian mortgage holders found 45% had NEVER refinanced their home1. The report also found customers who DID refinance saved an average of $240 per month ($2,880 pa) by refinancing a 30 year loan. 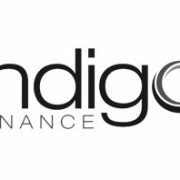 http://www.indigofinance.com.au/wp-content/uploads/2017/03/default-v2.jpg 198 300 wsadmin http://www.indigofinance.com.au/wp-content/uploads/2017/01/indigo-finance-logo.png wsadmin2016-08-04 02:31:212017-03-09 02:32:51Nearly half of all homeowners have NEVER refinanced!